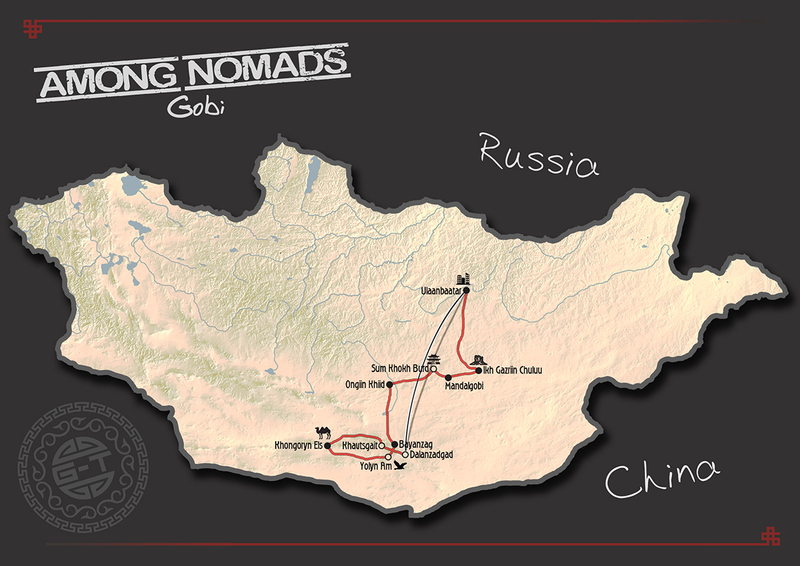 Our portfolio of Mongolia short breaks ideal for grabbing a few days away from it all. 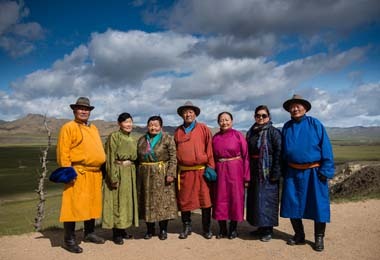 Choose from a range of Mongolia tours that distil the essence of nomadic culture – activity-packed adventures, relaxing getaways, and cultural escapes to leave you invigorated and inspired. 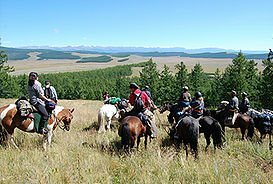 Led by our expert local Mongolian guides, all trips include vehicle transportation, where applicable, plus all activities and entrance fees. 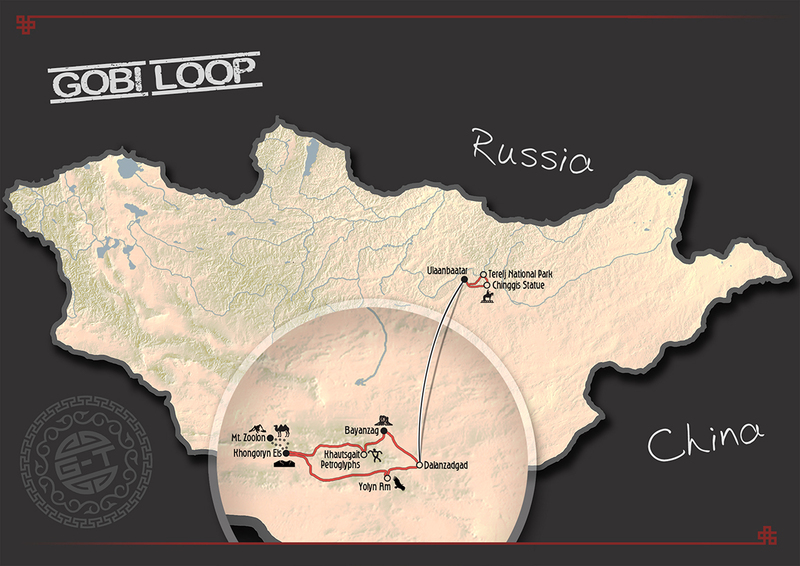 As with all our Mongolia trips, timings and content are flexible so any amendments or additions can usually be catered for. Most of our short break trips are available May/June to September inclusive, are about a week long and are ideally suited to groups of 1 to 8 people who don’t have that long to spend in this amazing country. Our unique twist on a timeless classic. 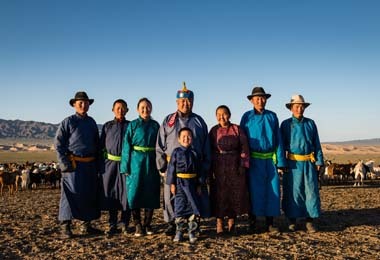 A desert escapade taking in the highlights of the Flaming Cliffs at Bayanzag, Yolyn Am, and Khongoryn Els – plus a camelback caper across the dunes with overnight wild camping, and a homestay alongside a family of herders. 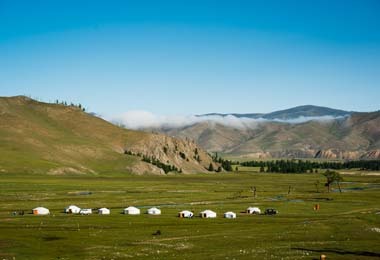 Immerse yourself in the culture of Mongolia’s nomadic heartland, with diverse landscapes and homestays in guest gers next to local families. 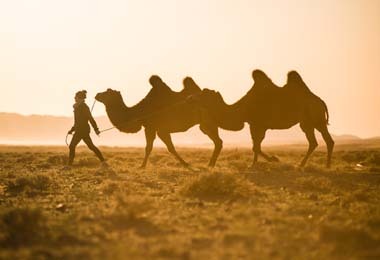 Spend time with your hosts and also use these fabulous wilderness locations as a base to explore the surrounding area on foot, by horse, camel and by vehicle. You will experience a range of cultural traditions – music, cookery, ankle-bone games, archery, felt-making, ger building may all feature at some stage along your way. You will also take in the historical and architectural highlights of Uvguun Khiid, Erdene Zuu Monastery and Tovkhon Khiid. 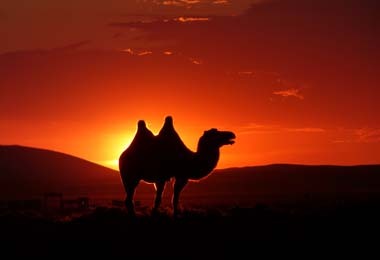 An in-depth nomadic experience set against the vast and varied landscape of the Gobi Desert, from the rock formations at Ikh Gazriin Chuluu, to the dunes at Khongoryn Els and the lush green gorge at Yolyn Am where wildlife abounds. 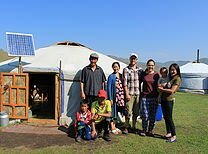 Get a true feel for the lives of Mongolia’s nomads as you stay in guest gers alongside local families who will involve you in their daily activities and cultural traditions – music, cookery, ankle-bone games, archery, felt-making, ger building may all feature at some stage along your way. Hikes, riding, visits to a tree-planting project & organic farms all add depth of culture and local flavour to this desert adventure. 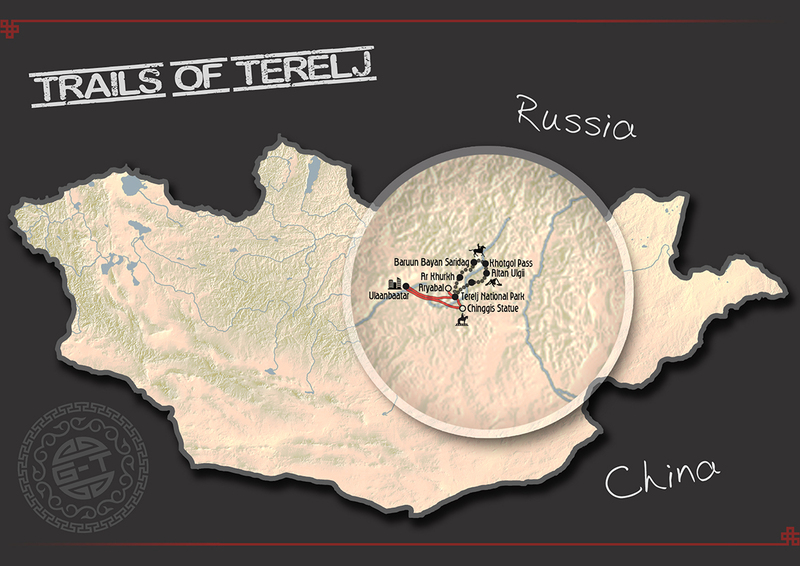 The lesser-visited areas of Terelj National Park offer an accessible wilderness escape on horseback. 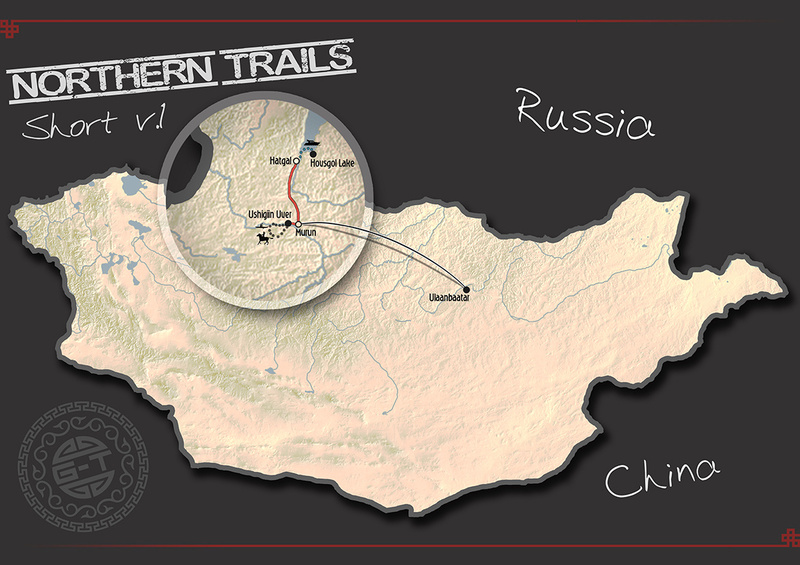 Saddle up for 5 days riding through undulating hills, valleys, along rivers and through larch forests. 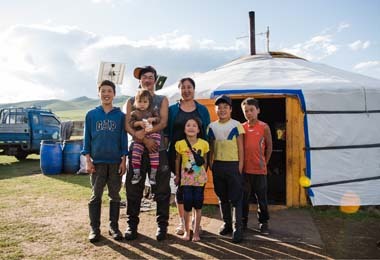 Overnight camping during your trek combines with a ger camp and authentic family homestay near the Tuul River, optional kayaking, and visiting the Chinggis Statue before returning to Ulaanbaatar. 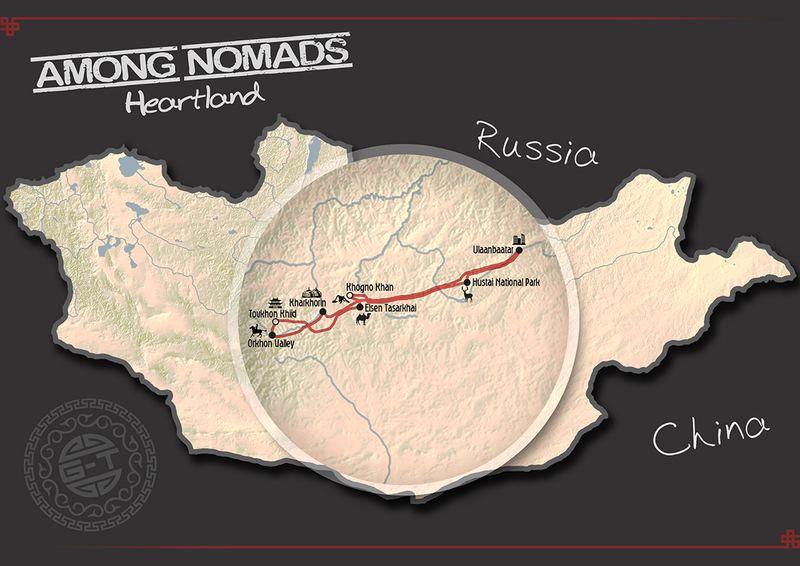 A journey into Central Mongolia, an area of diverse landscapes and the nomadic heartland of the country. 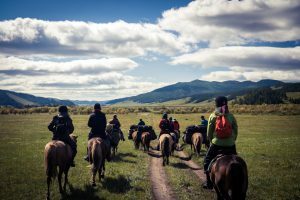 See the takhi horses at Khustai National Park, Khogno Khaan Mountain, the dunes at Elsen Tasarkhai before looping south to Orkhon Waterfall and the hilltop monastery of Tovkhon Khiid. 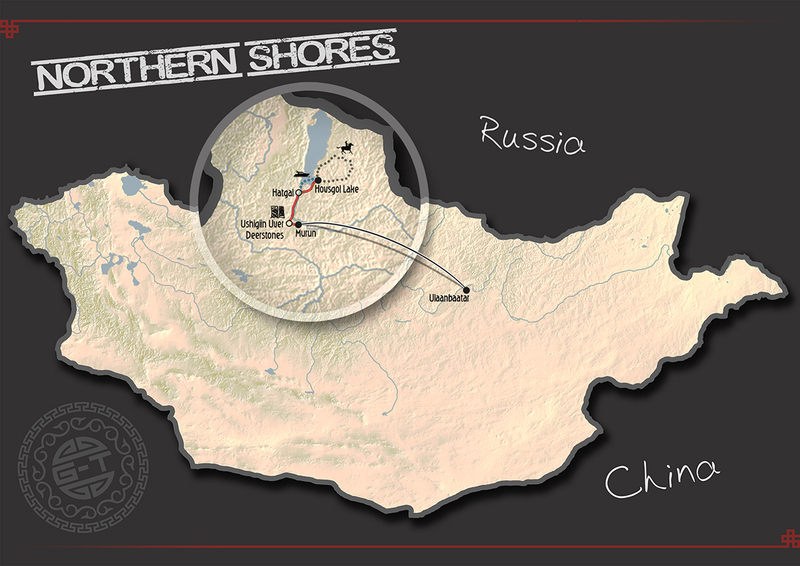 Visit the site of Chinggis Khan’s ancient capital at Kharkhorin, before returning to UB via the Turkic Monuments at Khoshoo Tsaidam and staying near the shores Ogii Lake. 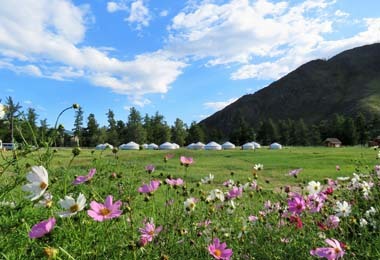 This trip is a great introduction to the rich diversity of Mongolia’s culture and landscapes, with comfortable ger accommodation at some of our favourite camps. 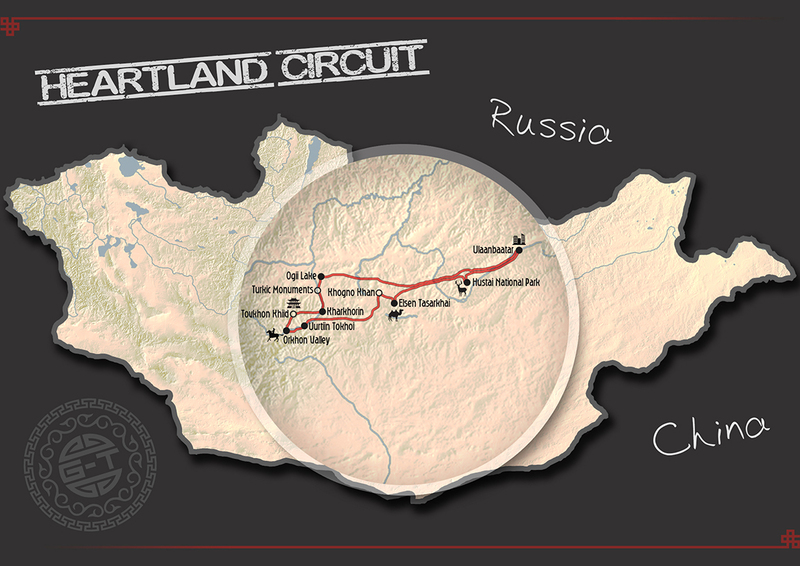 An abridged version of one of our longer journeys. 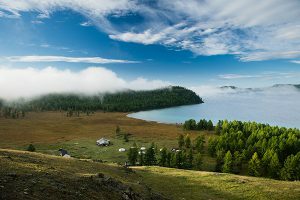 Discover the wild side of Lake Khovsgol with a 3 day horse trek up the eastern side of the lake, topped and tailed with a stay in a small eco-camp on the shores of this crystal clear ‘blue pearl’ of Mongolia, and kayaking on the Delger River west of Muron. The rustic comfort of small, characterful ger camps combines with traditional camping in the remote wilderness. 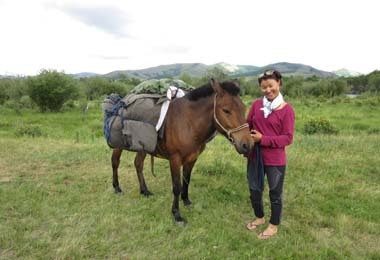 An abridged version of one of our longer journeys with 3 versions of 2, 3 and 4-day horse treks. 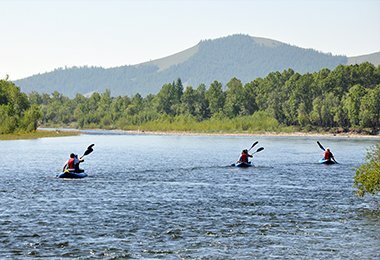 A spectacular trip through some of Northern Mongolia’s most stunning wilderness scenery – and the perfect antidote to the well-trodden trails to the west of Lake Khovsgol offered by most standard tours. This trip benefits from mountain backdrops, trails and valleys but also some good open terrain to cater for those who like to ‘open up the throttle’! 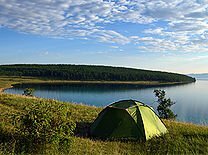 The trip culminates with some optional kayaking and 2 days on the lesser-visited east side of Lake Khovsgol.